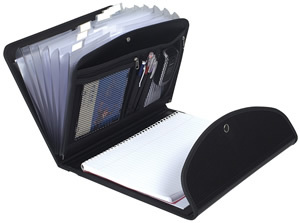 Stay organized while traveling with this multipart portfolio. Eco-friendly polypro cover made from recycled material. Travel light with the Exafolio and a N. 18 Rhodia pad (included)! 13 x 10 ½ "